In the footsteps of a giant. Paulie Gee recently made the lucky city of Miami a new home to one of his pizzerias. If history is any indicator, where there's a Paulie Gee's, expect great pizza. When the original opened in Brooklyn back in 2010, it was an immediate success. 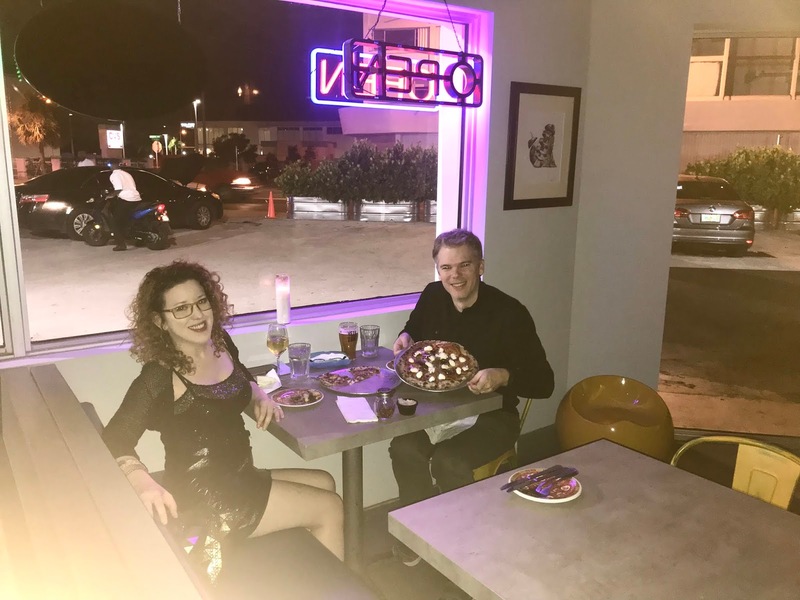 However, owner Paulie Giannone had been working for nearly a decade mastering cooking techniques, perfecting recipes, locating dependable sources of ingredients all while learning how to start a business. 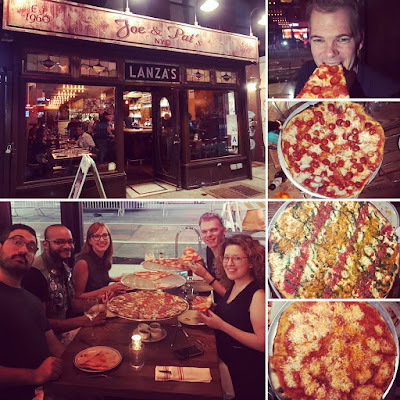 Opening a pizzeria was a huge undertaking but it was also the realization of a dream. Paulie's expansion is enabling other aspiring pizza makers the chance to realize their own dream. For Miami, this pizzaiolo turned owner is Jason Weisberg. 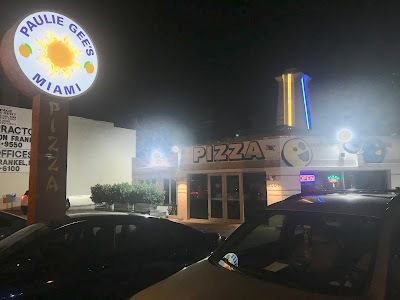 Weisberg apprenticed under Giannone and is well acquainted under Paulie's sun logo banner and quite familiar with the imported wood-burning oven named "Napoli." He can make the signature Dellboy and Greenpointer but he's gone beyond that. On the menu in the Miami location, you'll find locally inspired concoctions like the Biscayne Brisket pie and the Jewbano. These are Jason Weisberg originals that use area flavors to set his pizzeria apart from the others. With time, I hope for more innovative pies and that signature Paulie Gee line out the door. 1. 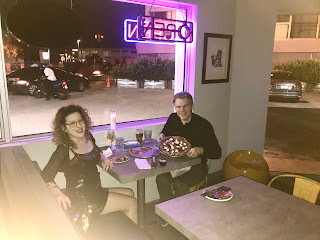 Robin Rothman and I took Lyft pool from South Beach to Little Haiti and it very affordable. 2. After pizza, Robin and I went to Ocean Blvd. and saw fancy cars, great costumes, art deco hotels, and the moon over Miami.